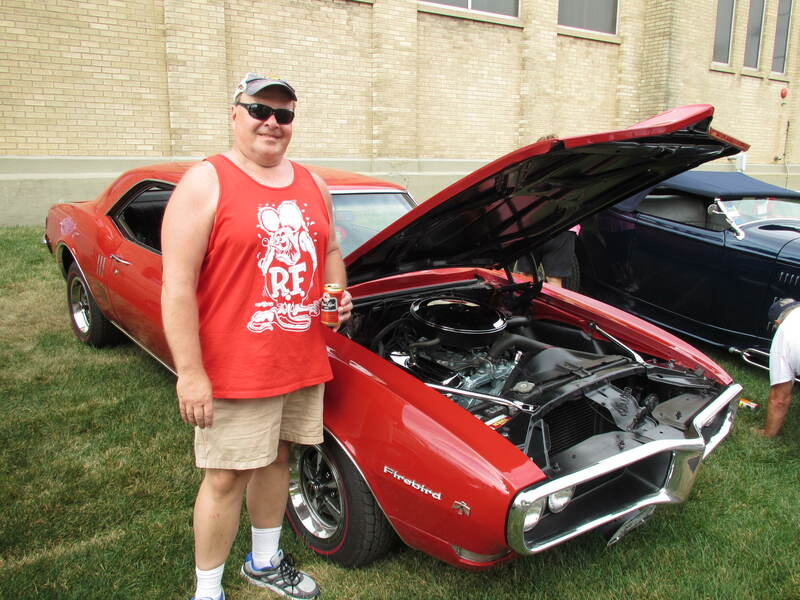 Yours truly UNCLE PETE just returned from many days at the Syracuse Nationals – the largest car event in the Northeast. And besides burning up gas and tires in the DARK VAULT HOT ROD, look who he met there. None other than LEN von SPEEDCULT – head of the SPEEDCULT metal creations empire in Detroit, but maybe better known to many of you as the lead singer and guitarist of the band SNAKE OUT. Anyone who has listened to The UNCLE PETE SHOW over the years has certainly heard some of SNAKE OUT’s hits like I Ain’t Ghandi, I Was A Teenage Goiter, and a great version of I Put A Spell On You. 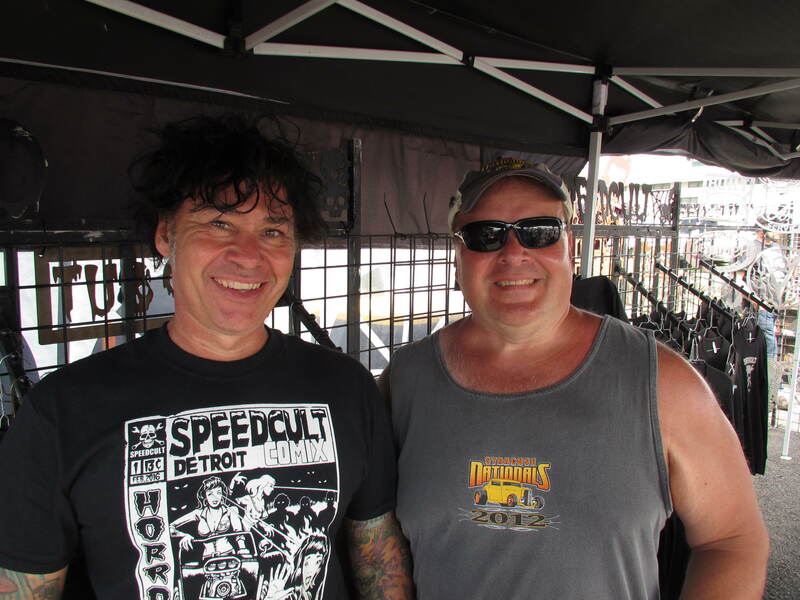 I stopped into the SPEEDCULT booth to say that they were playing the best tunes at the show (and they were) and in just a matter of a minute or so found out that right there in Syracuse, New York was the purveyor of some of my favorite songs from the past several decades of The UNCLE PETE SHOW. I had some great conversations with Len and his curvaceous, magenta haired beauty of an assistant (who’s name I have currently spaced on but will share when I recall it) about music and stuff in general. Real good folks – and real good music! And some great metal artwork from car/hot rod related to horror to punk to signs of all kinds and cool shirts and apparel too! To coin a phrase – a good time was had by all. Watch for Len popping up in a future new episode of THE DVOPD and listen for Len on The UNCLE PETE SHOW, Wednesdays at 10PM on WHRW-FM, 90.5 (or at whrwfm.org). ~ by UNCLE PETE on July 20, 2016.